I hope your week is off to a good start! Amongst the chaos of life lately, spare time has certainly been limited. However one thing I'm conscious of is making time for simple and cheap activities which keep my mind active and which I enjoy. The four that I'm trying to work on / do more often are a mixture of old and new and I'm pumped! I love me some yoga but honestly don't have time for my scheduled classes at the gym anymore. 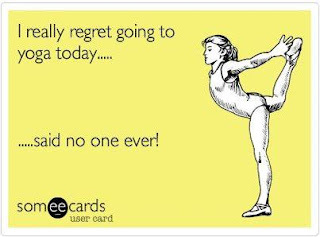 So I have been using the free app Yoga Academy to help me work on my yoga at home. This app includes mini classes for all levels and is fantastic! I have mentioned the app before on the blog but I'm a serious supporter! I learnt a few languages back in school and Italian wasn't one of them. 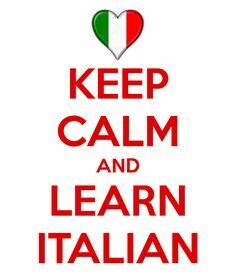 But I have always loved the language and figure that if I can improve my Italian I deserve a trip to Rome ;) Beside learning a language is a fantastic brain work out! There are hundreds of online resources to help you get started however I'm learning the old fashioned way with text books etc. Yes they still print them! Much to my parents disappointment I still can't play the piano! After years of lessons and about a dozen teachers I haven't quite cracked it. But the older I get the more I realise how nice it would be to have that skill. So I'm determined to give it a shot. Lucky enough we have a piano *who knows why? So I'll keep you posted on my musical venture! No matter what you are interested in or what your work schedule it is so important to have one or a few activities that keep you active, creative and busy! I hope you enjoyed mine and maybe even leave with a little inspiration!